Justin and Trisha met at Lincoln Christian University in Lincoln, Illinois. Justin received his BA in Christian education, and Trisha later earned her BA degree from Indiana University. The Davises' return to ministry is the result of a victorious battle for their marriage and family. After successfully planting their first church, their marriage was devastated by an affair. What followed was a four-year journey of pain, grief, and ultimately, by the grace of God, the restoration of their relationship. In 2009 they founded RefineUs Ministries, Inc., to ignite a movement in the church and among pastors and church planters to build healthy marriages and families. They consider the resurrection of their marriage to be a great gift and feel it a privilege to use RefineUs to help others find that same healing. Today Justin and Trisha are bloggers, authors, and teachers in Nashville, Tennessee, where they reside with their three boys. 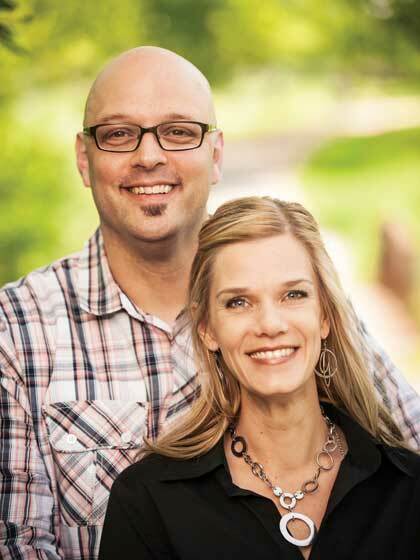 Justin is currently campus and teaching pastor of Cross Point Community Church, Bellevue Campus.